The little pocket bear I bought recently (christened Cuthbert by my Mum) decided to better himself today by reading one of the books I received for Christmas. 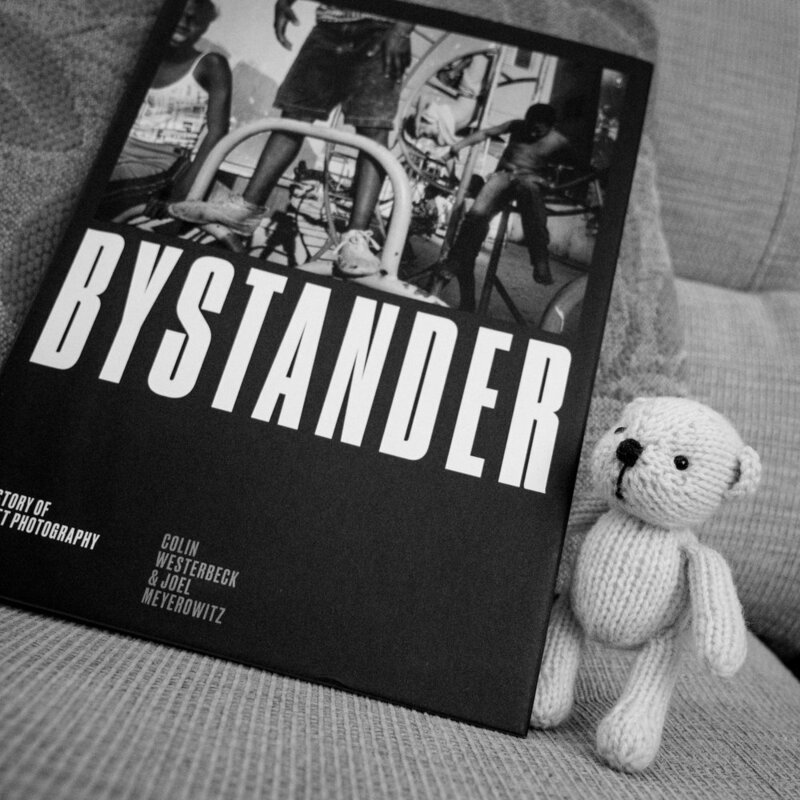 Bystander, a history of street photography, is a hefty tome - so weighty in fact that it's not the sort of book you could use as bedtime reading without doing yourself a mischief! Of course, the words proved a little too challenging for a bear of small stature and a brain made of wool so he decided in the end just to read the pictures. I, on the other hand, will be reading it from cover to cover when time allows!